Even though there’s a good chance that Prince Harry and Meghan Markle’s future children will have a lot in common with Prince William and Kate Middleton’s children, there’s one thing that will make them stand out from the rest of the family: their last name. 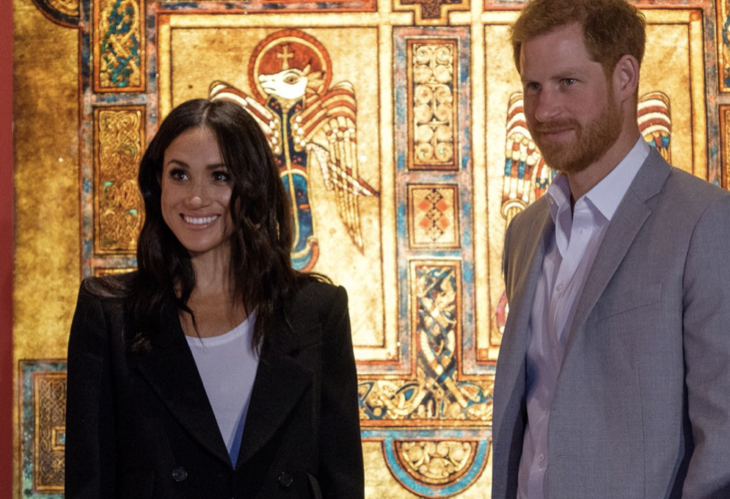 In fact, there’s a new report that says the Duke and Duchess of Sussex’s future children may use an entirely different last name than the one that Prince George, Princess Charlotte and Prince Louis already have. According to Closer Weekly, Prince William and Prince Harry are technically known as the Mountbatten-Windsor princes, but it’s not like they’ve ever used their last name in public. In fact, no one in the family, including Queen Elizabeth and Prince Philip, use their last name at all. That’s why a lot of people think that Prince Harry and Meghan Markle’s children might use Sussex as the last name for their children instead – after all, it’s part of their official titles. Plus, Prince George is known as George Cambridge. It was announced last year that he would use the last name Cambridge at school, as it is part of his mother and father’s royal title. Should Meghan and Harry’s future children not want to be known as the Sussex family, they can always refer to themselves as the Wales clan. After all, Harry has used the surname Wales out of respect to his father, who is also known as Charles, Prince of Wales. Then again, it will also be totally up to Prince Harry and Meghan Markle as far as what the last name they will choose for their kids. The first step, of course, is to start working on their future family! In the meantime, let us know what you think by leaving us a line with your thoughts in our comments section below. And as always, don’t forget to check back with Celeb Baby Laundry for all the latest royal tot news! The Nutcracker and The Four Realms NEW Poster, Photos & Trailer HERE!